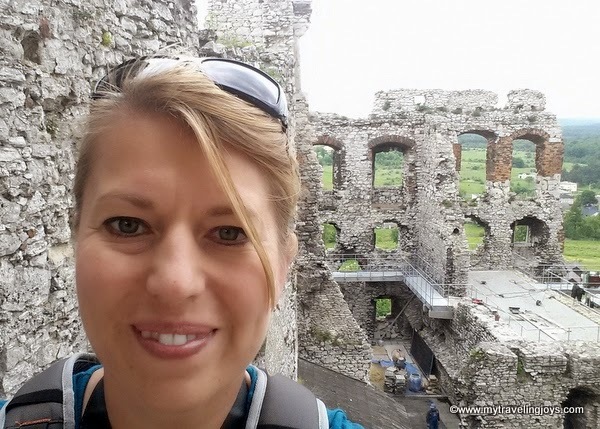 As the winter winds howl outside our apartment windows, I’m thinking back to warmer days when I was wearing a t-shirt and skirt and scampering around a Polish castle. 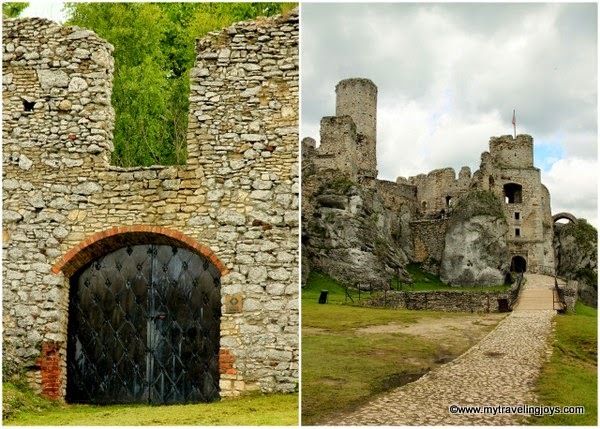 Can you believe that Poland has more than 200 castles? In June, I took our grandparents to visit one of these castles called Zamek Ogrodzieniec, which is located about 3 ½ hours southwest of Warsaw on the way toward Krakow and along the Trail of the Eagles' Nests. 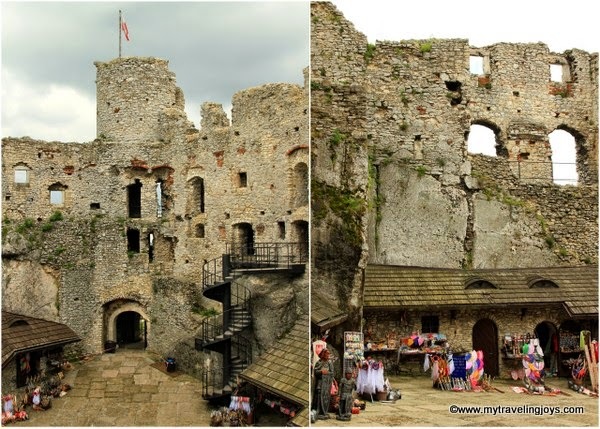 There are several 14th-century castles along this trail, built by order of the King of Poland Kazimierz the Great, and aptly named because they are located on gigantic limestone cliffs and tall rock formations. Luckily, I brought my tripod so I could pose with grandma and grandpa for a photo. Zamek Ogrodzieniec is the largest castle of the Kraków-Częstochowa Upland and built on the Góra Zamkowa, the Upland’s highest hill at 515 meters above sea level. The Upland (also known as the Polish Jura) consists of a hilly landscape with Jurassic period limestone rocks, cliffs and more than 200 caves. It borders the Carpathian Mountains to the south, the highland of Central Poland to the north and the Świętokrzyskie Mountains. These limestone rock formations make the castle ruins look even more picturesque. I bet the castle looks even more stunning when the skies are blue and the sun is shining. However, Grandma and Grandpa took one look at the rocky castle and said they would wait for me down below while I scampered around. I didn’t want to leave them alone for too long so I took about 30 minutes to explore the castle and take some photos. I didn’t even tell them that the castle is supposed to be haunted. 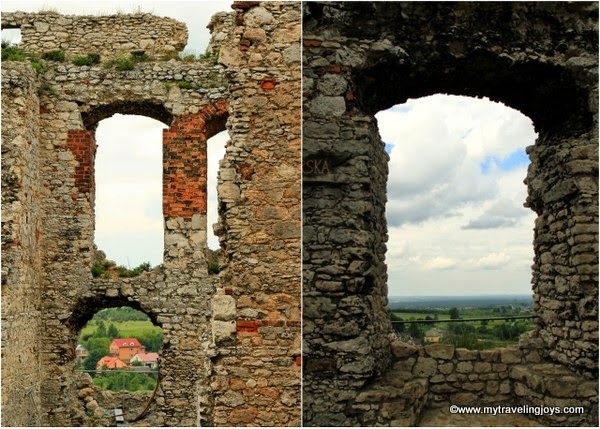 Like most of the Polish castles we’ve seen so far, Zamek Ogrodzieniec is a restored ruin with crumbling brick walls. The castle had many owners starting in the 14th century, but met its ultimate destruction thanks to the Swedes between 1655 and 1702. Restoration works and repairs were still happening during our June visit. The only thing I was disappointed in was seeing all the kitschy souvenir stands selling wooden swords and cheap princess dresses, set up inside the castle. They detracted from the historic atmosphere. I would be fine with having the stalls set up just outside the castle’s walls. I'm sure your child will want of these wooden swords sold from these souvenir stands. If you want to visit Zamek Ogrodzieniec, unfortunately, you must wait until April 1st when the castle reopens. And if you time your visit on Sundays, between May and September, the castle hosts a live show performed by the Brotherhood of the Knights. The castle also hosts regular ghost tours during the summer nights. I didn’t see any knights in shining armor or ghosts, but I did have a pleasant time at Zamek Ogrodzieniec. 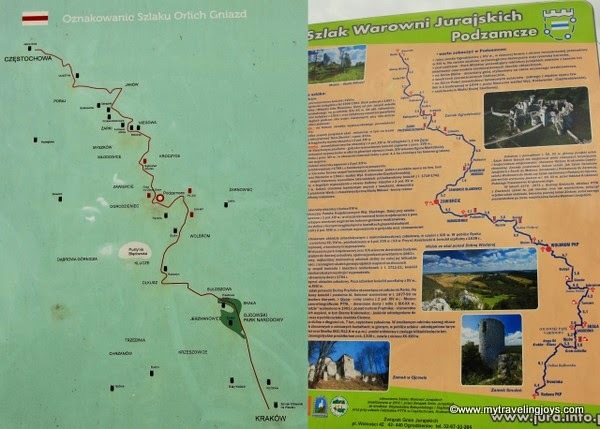 Here's a map of the Polish castles located along the Trail of the Eagles' Nests and some information in Polish. I linked up this blog post to the #bloghop co-hosted by Danielle at The Unfinished Blog, whom I had the pleasure of meeting in Helsinki in November. 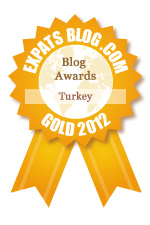 Hop on over to meet other bloggers! i would love to explore that castle! it's so nice how your grandparents visit you where ever you are living. Is Poland feeling like home now? I returned to the States yesterday from Istanbul, I always leave a piece of my heart there but the hills with ice was a challenge.